If you’re already maxing out all of your retirement accounts and you’d like to save even more money in a tax-advantaged way, this one’s for you. The Mega Backdoor Roth IRA – coined by Jim Dahle at The White Coat Investor – is a strategy that allows you to contribute up to $36,000 per year to your Roth IRA, on top of your other retirement savings, without any income restrictions. And if your spouse is eligible too, you could potentially put a total of $72,000 per year into Roth IRAs between the two of you. That’s a lot of money that will never be taxed ever again. Now, the truth is that most people won’t be able to take advantage of the Mega Backdoor Roth IRA. It’s enough of a struggle for most people to max out their regular retirement accounts, let alone save more. And many 401(k) plans don’t have the attributes that make this strategy possible anyway. There’s also a lot to this strategy, including logistics that will depend on your 401(k) and IRA providers. 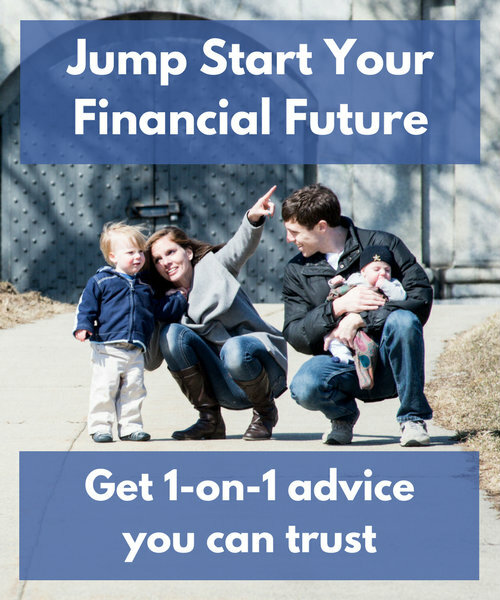 This article explains how it works generally, but it doesn’t lay out all the specific steps you will have to take or the specific obstacles you might face. Still, if you have extra money to save and want to find a tax-advantaged way to do it, it’s definitely worth looking into the Mega Backdoor Roth IRA. If you’re eligible, it can provide a huge boost to your long-term savings. Your ability to take advantage of the Mega Backdoor Roth IRA depends on your ability to first make a certain type of 401(k) contribution, one that most people never even consider. So before diving into the specifics of the Mega Backdoor Roth IRA, let’s take a step back and talk about the four types of contributions you can make to your 401(k). These are the contributions that most people make to their 401(k)s. Your contributions are tax-deductible, the money grows tax-free inside the 401(k), and your withdrawals are taxed as ordinary income in retirement. Some 401(k)s allow you to make Roth contributions that are not deductible, but which grow tax-free inside the 401(k) and can be withdrawn tax-free in retirement, just like a Roth IRA. Between your Traditional and Roth contributions, you’re currently allowed to contribute a total of $18,000 per year to your 401(k). The contribution limit increases to $24,000 if you’re age 50 or older. Your employer often contributes money to your 401(k) in addition to your contributions. Typically this comes in the form of a matching contribution, but in some cases your employer might make non-matching contributions as well. This is the type of 401(k) contribution that most people don’t know about, and it’s also the key to being able to take advantage of the Mega Backdoor Roth IRA. Your contribution is non-deductible and the amount you contribute will never be taxed. The earnings on those contributions grow tax-free, but are taxed as ordinary income when they’re withdrawn. For 2017, your maximum annual after-tax contribution is calculated as: $54,000 – total employee contribution – total employer contribution. This is the type of 401(k) contribution that allows for the Mega Backdoor Roth IRA. And with that context, let’s talk about how the strategy actually works. We’ll get into the detailed steps below, but it will be helpful to go through them with a basic understanding of how the Mega Backdoor Roth IRA works. You contribute non-Roth after-tax money to your 401(k). 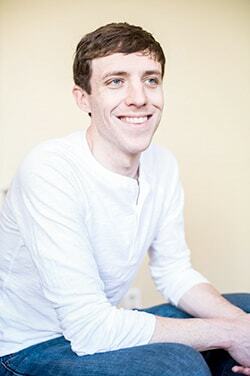 You roll that money over to a Roth IRA, either immediately or when you leave your company. Once that money is inside a Roth IRA, it will never be taxed again. Because there are no income limits on rollovers, and because you can contribute a LOT of non-Roth after-tax money to your 401(k) that can then be rolled over, it’s an effective way for high-income earners to save a significant amount of money tax-free beyond the traditional routes. There are four main steps to the Mega Backdoor Roth IRA, though the fourth step depends on the specifics of your 401(k) plan. Before even thinking about doing the Mega Backdoor Roth IRA, you should max out all of your other tax-advantaged investment accounts. Namely, your regular 401(k) contributions, regular IRA contributions, a health savings account, and even a regular Backdoor Roth IRA. Those are simpler contributions with similar tax benefits, so it makes sense to handle them first. You can read more about how to prioritize your other investment accounts here: How to Choose the Right Investment Account. If you still have money you’d like to invest after maxing out your other tax-advantaged accounts, it’s time to figure out whether you’re eligible to do the Mega Backdoor Roth IRA. It all depends on what types of contributions your 401(k) allows and how it allows you to access those contributions. Here are the three things you need to look for. You can figure out if 401(k) allows for these by checking your summary plan description or asking your plan administrator. The ability to make non-roth after-tax contributions – This is the most critical piece. You simply have to be able to make these contributions in order to take advantage of this strategy, and not all 401(k) plans allow them. The ability to make in-service withdrawals – This is helpful, but not necessary. Many plans allow you to withdraw your after-tax contributions even while you’re still with the company. 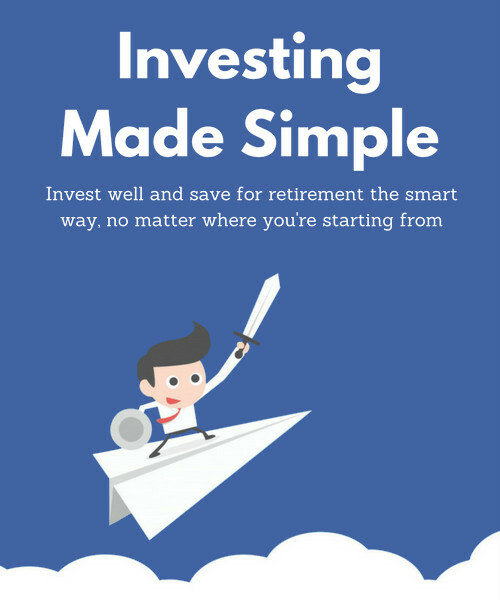 This allows you to take maximum advantage of this strategy since you can get your contributions into a Roth IRA immediately. But you can still do the Mega Backdoor Roth IRA without this feature. As long as your 401(k) allows for non-Roth after-tax contributions, you can move to Step 3. If not, you unfortunately can’t take advantage of the Mega Backdoor Roth IRA. If your 401(k) also allows for in-service withdrawals AND keeps after-tax contributions in a separate sub-account, you can then use Step 4a. If it doesn’t meet either of those two criteria, you can use Step 4b instead. The next step is to actually make your non-Roth after-tax contributions. The specific mechanics of doing this vary by 401(k), so you’ll have to ask your plan administrator or consult your summary plan description for the details. The maximum contribution you can make is $54,000, minus your other employee and employer contributions. That means that you could theoretically contribute up to $36,000 per year after subtracting your $18,000 employee contribution. But for most people the maximum contribution will be lower, given that your employer will likely contribute money to your 401(k) as well. You contribute the maximum $18,000 per year yourself. Your employer contributes another $10,000. Your allowed non-Roth after-tax contribution = $54,000 – $18,000 – $10,000 = $26,000. In other words, in this example you would be allowed to contribute an additional $26,000 to your 401(k) as non-Roth after-tax money. In an ideal world, your 401(k) plan will both account for your non-Roth after-tax contributions in a separate sub-account AND allow for in-service withdrawals. If that’s the case, you can roll your after-tax contributions to a Roth IRA immediately after contributing them to your 401(k). Your contributions will not be taxed during the rollover. Your earnings will be taxed, but because you’re doing it immediately those earnings will be minimal and therefore the tax hit will be minimal. And once the rollover is done, all of that money AND the returns on that money will grow tax-free and be accessible tax-free in retirement. Now, you need to be VERY clear that your 401(k) plan administrator understands exactly what you’re trying to do here so that you avoid any unintended consequences. And the specific mechanics of doing this will differ by 401(k) provider and by the IRA provider you choose as well. But in a nutshell, that’s how it’s done. By the way, I personally use Vanguard for my Roth IRAs, though there are plenty of great providers. If your 401(k) doesn’t allow for in-service withdrawals, or if your non-Roth after-tax contributions aren’t kept in a separate sub-account, you won’t be able to do an immediate rollover. What this means is that you’ll likely have to wait until you leave your current employer before you can roll the after-tax money into a Roth IRA. And in the meantime, those after-tax contributions may build up significant earnings that will potentially be taxable when you do roll it over. When you do roll the money over, you’re allowed to split the rollover so that all your pre-tax money goes to a Traditional IRA and all your after-tax money goes to a Roth IRA. 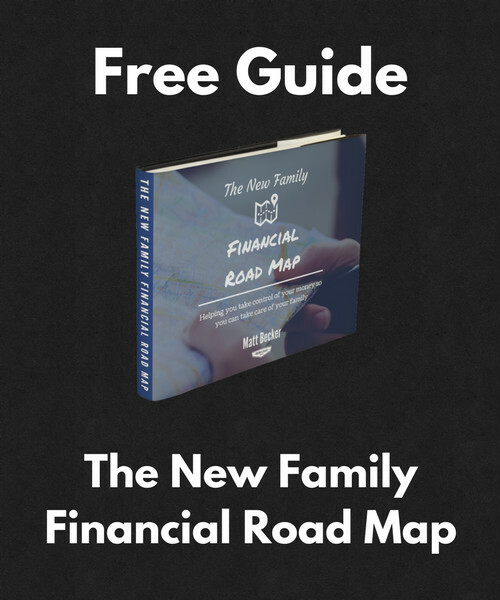 This allows you to avoid a big immediate tax hit, keep your pre-tax money growing tax-deferred in a Traditional IRA, and still get significant money into a Roth IRA that will eventually be tax-free. Harry Sit (The Finance Buff) ran the numbers on rolling the ENTIRE after-tax sub-account, including the earnings, to a Roth IRA vs. simply investing in a regular taxable investment account. He found that in most cases taking advantage of the Mega Backdoor Roth IRA was preferable to a taxable investment account, even if you had to wait a few years before rolling it over and you took the tax hit on the rollover. There are exceptions though, particularly if you plan on staying with your current employer for a long time. All of which is the say that even if you can’t immediately roll your after-tax contributions to a Roth IRA, there’s still a good chance that the Mega Backdoor Roth IRA will come out ahead of investing in a taxable account (though still behind investing in other tax-advantaged accounts). 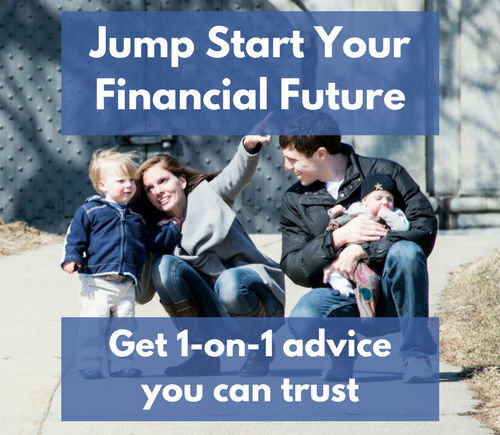 Again, the specifics of doing all of this depend heavily on your 401(k) and IRA providers, so you’ll need to work closely with those people to make sure they understand exactly what you’re trying to do. So there it is, the Mega Backdoor Roth IRA. It’s the hidden way to contribute tens of thousands of dollars to a Roth IRA every single year, no matter how much money you make. If you have the money to contribute, and if your 401(k) is set up to allow it to happen, it’s a pretty sweet deal. Have you ever taken advantage of this strategy? Do you have any questions about it? Let me know in the comments below! I call every year to see if our 401k has changed to allow after tax contributions. Still no dice, so most of our retirement investments are in taxable accounts. Sad face emoticon. I rrally appreciate this post all the same. Great rundown. Too bad. It would be nice if it was more common. @Done by Forty, may I suggest you try asking someone else? This isn’t a monumental change and there’s no change in costs to the company (except for making the actual amendment). I don’t know how big of a company you work for, but if it’s a small enough company, and the HR manager isn’t getting it done, go ask the owner. 401(k) plans will usually only charge $100-300 for a plan amendment, and sometimes they’ll comp it if the seven-year mark has passed and they have to restate the plan to capture any previous amendments. I used to manage the 401(k) plans at my previous company (small company, 200 EE’s, one location). Whenever I wanted an amendment (I had three plans, and I made a fair amount of changes), I e-mailed our provider and just asked her for a quote. If I didn’t want to pay for the amendment then, I just waited until a few things banked up and made them all together. Best of luck in figuring out how to get this across the finish line. Even though I work at like a fortune 25 company, I still tried going the HR route. It’s just such a massive company that it’s like trying to turn the Titanic: possible in theory, but you better be pretty patient. Thanks for the thorough article. My plan just started offering after tax (non Roth) contributions. They also allow these monies to be rolled over to the in plan Roth 401k via in-plan rollover. In addition, I am allowed to request in-service withdrawals of just after-tax (non Roth) contributions (which I assume would want to be rolled over to a Roth IRA. When I asked if the after-tax nonRoth contributions are stored in a separate “subaccount”, they just answered saying that the monies are tracked separately and I could view them separately, so I am not sure if I can rollover immediately without pro-rata rules? All of my current 401k contributions are pre-tax. I’m trying to figure out if I can rollover new after-tax nonRoth contributions to in plan Roth 401k, or in-service withdrawal to Roth IRA without involving pro-rata rule. Any thoughts? Unfortunately I can’t be of much help without speaking to them directly. This is one of the issues with the Mega Backdoor Roth IRA. Each 401(k) administrator handles things a little differently, talks about things a little differently, and has differing levels of understanding about exactly what you’re trying to do and how to achieve it. It’s not always easy to sort out. My 401K has after tax contribution sun account and allow in service rollover. However, my company has limited 10% contribution for so called high compensation employees so unfortunately my before tax contribution will not reach IRS 18,000 limit. My question is, due to plan’s role, my 401K account in 2017 will have $16000 pretax contribution and $9000 after tax contribution. Can I still mega backdoor those $9000 after tax contribution to Roth IRA? Unfortunately I can’t answer that question for you Emily. It sounds like you should be able to given the information you’ve provided, but it all depends on the specific details of your plan. You’ll have to reach out to your 401(k) plan administrator to make sure. I’ve been looking into this recently, but the information is somewhat unclear. 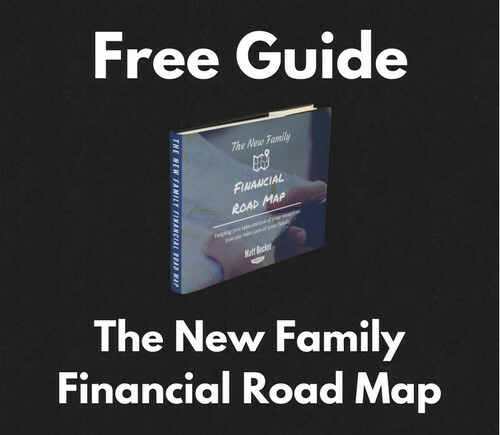 I have a 401(k) with ADP, and the plan allows for pre-tax, Roth 401(k), and after-tax contributions (so I meet step 1). However, when asking about in-service withdrawals of after-tax funds, I can’t find anywhere that these are actually allowed by the IRS before age 59 1/2. There are references to hardship withdrawals and loans. There are also references to rollovers, but it indicates they must be in-plan. Is it possible to make a non-hardship withdrawal of after-tax contributions without any penalty before age 59 1/2? If I want to do a rollover, does it have to be with the same provider (ADP in my case – I would prefer to rollover to Vanguard)? Is there a reference to this anywhere on the IRS website? So you’d have to check with your plan to see if this is allowed. If so, you should be able to complete the direct rollover to the provider of your choosing (e.g. Vanguard). Great article! I have a question about the rollover process of after-tax (non-roth) money in a 401k to a Roth IRA. Assuming that there is no option for in-service withdraws, and significant growth has occurred, how would this money be categorized if it is rolled over into a Roth IRA? would it be considered rollover contributions in the same way that a traditional IRA rolls into a Roth IRA when taxes are paid? If this is so, it has significant impact on people who want to access their 401k money early through a “roth conversion ladder”. After 5yrs, the money including the growth is yours. Good question Nate. I believe, though I am honestly not 100% sure, that it would be considered a rollover that IS subject to the 5 year rule. I would need to check with an accountant though first before giving a definitive answer. My current employer offers 401(K). In the past, never had a 401K and hence was using Traditional IRA for retirement savings. In the beginning of this year made my full 2017 contribution (5500) to my traditional IRA. If I have to roll over my traditional IRA (excluding 2017 contribution) to my 401 (K), can I include all the earnings from my IRA till date? My 2017 IRA contribution ($5500) is non-deductible. So when I do backdoor IRA conversion of this $5500 to Roth IRA can I include only 2017 contribution or should/can include the earnings from 2017 contributions as well? I would highly recommend talking to a CPA about your questions here. There are a number of moving parts and it would be well worth it to get an informed, expert opinion. I just initiated my first Mega Backdoor Roth and so far, so good. I started with a small amount ($3033) just to try it in 2017 as I know my employer allows both after-tax contributions and in-service withdrawals. To make it even easier, Fidelity manages our 401k and I already have a T-IRA and Roth IRA with Fidelity so the rollover was a painless 10 minute call and they seemed to know exactly how to do it. The after-tax money had already earned $10+ so he did a split transaction putting the $10+ into my T-IRA. He said there will be no tax consequences though I’m skeptical so we’ll see how this shakes out in the long run. I also found out my employer charges a $25 fee for in-service withdrawals, so in the future I’ll aim to do this once/year assuming the taxes aren’t punishing. Thanks for sharing your experience Nate! I’m glad it all worked smoothly for you, and that’s a great point in there about checking for withdrawal fees. It’s definitely worth minimizing those if you can. Very good article. My employer allows after-tax contributions and in-service withdrawl. Are there any restrictions in terms of how 401K plan adminstrator provide two checks (one for after-tax going in to Roth IRA and one for pre-tax going in to Traditional IRA)? 1) one check for direct rollover with pre-tax and aftertax amount specified and I need to work with IRA company to ensure it splits to right type of IRA 2) pre-tax direct rollover and after-tax check issued to me. It’s a good question Sanjay but unfortunately I can’t provide any specific guidance. It’s really up to your 401(k) administrator and the IRA provider you’re working with. What I will say is that, in general, it’s best to execute a direct rollover in which there is no check sent to you. The money is simply transferred directly from your 401(k) to your IRA(s). That’s the easiest way to avoid any unintended tax consequences, though you still need to be wary of other potential tax consequences for any rollover. The specifics of those potential consequences depend on your personal situation though, so I really can’t give any advice outside of a client relationship. Great article. One thing I’d add is, if your plan does not allow in-service withdrawals of the after-tax contributions you make, then instead of keeping those contributions as after-tax (and risking having to pay taxes on large earnings that could happen before you get a chance to convert those to Roth IRA when you leave the company) you could immediately do an in-plan conversion from after-tax to Roth 401k within the plan. Most plans that allow after-tax contributions, also allow Roth 401k. That should prevent any taxes on earnings, and you can then convert from Roth 401k to Roth IRA when you leave the company without any tax consequences. Only difference is in Roth 401k you’d have to choose from the funds your plan has selected vs. being able to invest in any fund in Roth IRA, which might not be a big deal if your plan offers good low cost index funds. I do believe that this would be an option with some 401(k) plans, though I have to be honest that I have never tried this and I therefore can’t comment on the exact logistics or any potential pitfalls. It’s a good option to explore though. Thanks for sharing! “When you convert to a Roth IRA, the IRS counts ALL of your IRAs as part of the conversion, even if you’re only doing it from one account.” Would this also be applicable to the mega back door IRA after tax 401 k to roth IRA conversion? I have a traditional IRA, rolled over from a 401k for my previous employment. I don’t contribute to it. I don’t want to accidentally have to pay taxes on the conversion. I do not believe that this would be an issue, but I am not a CPA and I would absolutely consult with one before making any transactions. My company allows for us to do the post tax contributions and rollover to our Roth 401k. However, they do not allow for in-service withdrawals, unless for one of the standard hardships. Do you have any recommendations of documents or anything I can take to our plan administrator stating that an in-service withdrawal (especially rolling a Roth 401k to a Roth IRA) is allowed? Unfortunately, if they don’t allow for in-service withdrawals then I don’t think there’s much you can do about it. You could always ask your plan administrator to add that feature, and there’s no harm in doing so, but I wouldn’t expect any changes to happen quickly, if at all. Good Morning Matt. Very good article. I am a Retirement Plan Consultant/Specialist. 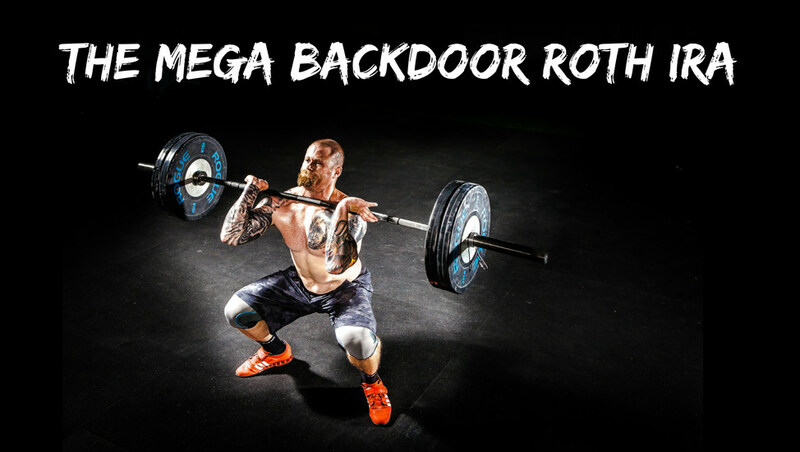 The Mega Back Door Roth is a great concept if the right individual; ie. non Highly Compensated Employee (HCE); employees earning less than $120k and/or not in the top 20% paid employees of company (if applicable) in 2017/2018. Background: Even though the after-tax contribution is an employee contribution, for retirement plan testing purposes it counts as an employer contribution and is therefore subject to ACP compliance/discrimination testing. This includes Safe Harbor plans. Adding after-tax contributions to a Safe Harbor Plan re-activates the ACP test. If HCE’s are the only individuals making after-tax contributions and there are no offsetting NHCE’s contributing, the plan will fail ACP testing and those HCE’s will wind up taking back a much of what was contributed. This is most likely why Emily’s plan (above) only allows HCE’s to contribute a max of 10% of income. The administrator has determined (based on employer contributions made to the plan for HCE’s vs. NHCE’s) that the 10% will allow HCE’s to contribute after-tax contributions to the plan without failing ACP testing. Last Point: The ACP test is typically done in the 1st quarter following the end of the plan year. Even if plan allows for immediate in-service rollover of after-tax contribution to a Roth IRA, if the person making the after-tax contribution is an HCE, transfers it to a ROTH IRA, and the test fails, that HCE must reverse the Plan to Roth IRA transfer in order to be in compliance with plan and IRS rules. As you can see, this can get very messy. If you are any HCE, proceed with caution.